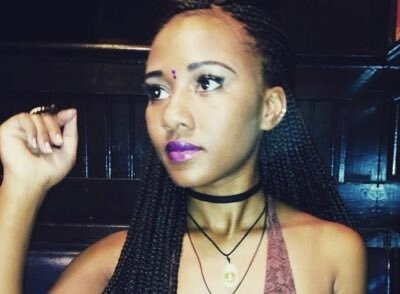 This week, Twitter user Aziah King (@_zolarmoon) relayed the details of a crazy weekend she spent in Florida. Then the world lost its collective minds for her compelling tale of prostitution, pimping, and murder. And every time someone bowed at her feet and named her next in the line of literary royalty, just behind Maya Angelou and Toni Morrison, a lonely book somewhere in the world threw up its hands and jumped off of a cliff. This is a writer’s rant. And by writer’s rant, I mean I wrote this whole post in pieces, trying to capture the message I wanted to convey. I then went back through it multiple times, editing parts that I think could have been better, adding things that I think I missed, and pondering who might read this and if it was tailored to their sensibilities. I checked grammar. Fixed typos. Questioned word choice. And then, when I thought it was good, I had someone else provide their criticisms, made more revisions, and published it, anxious to find out how many eyes it would reach, what the feedback would be, and fretting that the whole exercise was a waste of time. Because these are the things that serious writers do. But the explosion of Zola’s story on social media and the praise and attention it has received undermines all of that. She’s already gotten the attention of MTV, VH1, Huffington Post, and more. Directing Queen Extraordinaire Ava Duvernay (!) is deeming it a “best seller in waiting”. Keke Palmer is already campaigning for a role in the film adaptation. It cannot be denied that the “Zola” story has captivated readers. It has prompted them to share and promote the story with no benefit to themselves. In almost no time at all, it has become a major point of discussion. I’m discussing it here myself. But what really sticks in my craw, what chafes my backside, and what grinds my gears is the uninformed masses running with this 147 tweet story and advocating for this woman to get a book deal, television show, etc. First, microblogging (i.e. Twitter use) has been deemed a new frontier in literature since as early as 2008. All those years ago, writers were already seeing the power and appeal of quick bursts of information and immediate release of content. So for all those that have been giving King endless supplies of gold stars and chocolate chip cookies for her “innovation” in telling a story on Twitter, please know that this ain’t nuthin’ new. Second, what Ms. King has here is a story. An interesting story without a doubt, with distinctive characters and a plethora of quotable lines, but still just a story. The difference between that and a book length project is an expansive chasm filled with jagged rocks, rap battles with Kendrick, races with Usain Bolt, American Ninja Warrior’s entire Mount Midoriyama course, lasers, sharks, laser sharks, and overbearing assistants. A twitter account, smartphone, and data plan don’t grant you the skills and talent to be an actual novelist. A select few are born with the natural ability, but for the vast majority of people who want to write, it is a long, difficult, and treacherous path to figuring out how to wield the magical powers that commas, word choice, and restraint hold in order to traverse that seemingly impossible chasm. It’s just plain disrespectful to the craft for anyone to confuse her litany of acronyms, emojis, and lack of punctuation with “masterful writing”. Third, I have a hunch that this story has caught on like wildfire because minority voices and stories are often limited in their reach and exposure. As a result, attention and support ends up being consolidated behind projects that have the appearance of being most likely to succeed. In all honesty, that is why Scandal, How To Get Away With Murder, and Empire have tongues wagging every week. Yes Kerry Washington, Viola Davis, and Taraji P. Henson deliver stunning performances. But we don’t watch for the performances; those are the icing on the cake. We watch for the absurd, ridiculous, and escapist storylines. And the “Zola” story follows right in that sweet spot. It is easy to comprehend, suspenseful, and a bit scandalous. But don’t we have other stories to tell? The entire Diversity In Books movement is devoted to getting those stories heard too. Just think, what if practicing writers that are just as devoted to this low reward craft had the support and backing for their work that Aziah King has received in a matter of days? This is why we have to stop being so easily controlled by a yearning to see ourselves be represented. So what does this all mean? It means that we gotta do better folks. I’m not knocking Ms. King’s hustle. Kudos to anybody that can spin string into gold. And, for all I know, she could build on this attention, write engrossing novels, and become the next Tyler Perry. I want to make it crystal clear that my words are not an indictment of her, of anything that (allegedly) happened in her story, or of her choice to share this story on Twitter. This is an indictment on us, the readers that conflate her 147 tweets to be “literary treasure”. We have to read books. We can’t be so hungry to see ourselves represented in media that we put stream of consciousness storytelling on this high of a pedestal. We have to read books. While finding this type of content on Twitter might be fun and easily accessible, we also have to head to a bookstore or Amazon and pick up actual books from minority writers about minority characters. I promise, the books won’t bite. It doesn’t hurt to give a nod to the many talented Black and Latino writers who have been in the game grinding, waiting for their big break. They may not be as adept at working a Twitter feed, but their work is just as valuable to us all.